The cookie-cutter approach to SEO just doesn't cut it anymore! Before jumping in to optimization, our SEO experts will research your current level of optimization, your competition and your marketplace. This initial audit of current performance will guide a custom strategy moving forward. We identify target keywords that bring you high-quality traffic and continually work to make your site more visible in the search engines. Based on our research and the nature of your school, we will optimize your content to make it more search engine-friendly. Images, meta tags and other content will also be optimized to give you that competitive edge. We use proven, Google-approved optimization methods that stand the test of time. We have worked with thousands of martial arts schools worldwide and have a strong understanding of the programs, business structures and other areas that can be challenging when optimizing for local searches. We will work to make your content shine and make it easier for search engines to crawl, identify and index your content. Is your school currently ranking in Google, Bing and Apple Maps? We can get you there. Local optimization requires careful adherence to quality guidelines and consistency of your business information online. Your SEO consultant will work with you to ensure that Google (and your prospective students) are finding the right contact information online. ChampionsWay delivers SEO webinars, eBooks, blog posts and other resources that help school owners get reviews, better utilize social media and get the more of the right prospects to their websites. As popular as Google is, it's not the only game in town. 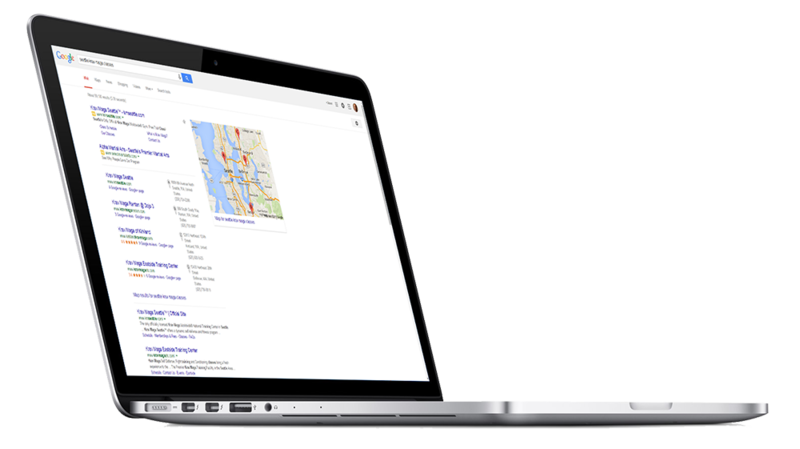 We have identified hundreds of quality local and industry-specific directories that will increase your online visibility AND strengthen your local rankings. We create listings with popular directories like Yellow Pages, Merchant Circle, Manta and a host of other reputable online directories. We currently build quality listings in the US, Canada, the UK and Australia. Don't just take our word for it... We provide monthly reporting that lets you monitor trends and real-time data. Your custom Google Analytics dashboard will let you know who is visiting your site and how they are interacting with your content. Monthly ranking reports detail local and organic rankings in Google, Bing and Yahoo. Log in regularly to check updated stats or simply check your email for summarized monthly reports.